According to one version of the forensics, the reason Notre-Dame de Paris began to burn were troubles with the electricity, in particular, short circuit, as Le Parisien reported. “Maybe, there was a short circuit,” one of the interlocutors of the news agency said. The officers of the security service informed the police that the center of the fire was located at the bottom of Notre-Dame de Paris spire at the side of the Seine. Staging weighing over 500 tons was installed as a part of the restoration process. Three elevators were set as well. The first one lifted the workers to a height 24 meters, the second one – to 54 meters, and the third one took workers to the spire, which was supposed to be cleaned. Two elevators were working since last Thursday, when the workers were taking off the statues located on the spire. According to the security guards, when the fire alarm went off, they came to the elevator, the fire was strong then and they could not do anything. 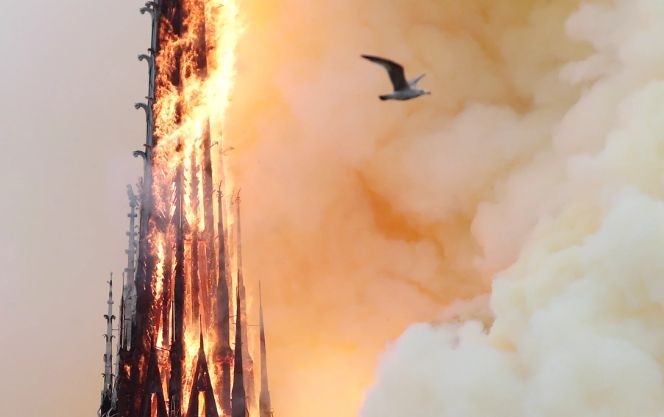 As it was reported earlier, the spire and the roof of the Notre Dame cathedral fell in a fire.